to act as a consultant, by presenting its views and by making appropriate recommendations on problems which concern the universities, to government, national or international organizations, as well as to others who are involved with issues concerning universities. 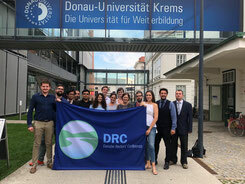 In order to perform these tasks, DRC maintains links with national and international organizations the activities of which are of interest or relate to universities and, in particular, with the national Rectors' Conferences, EUA, UNESCO, EU, Council of Europe, etc. The DRC arranges conferences, workshops, summer schools and participates in EU funded projects. 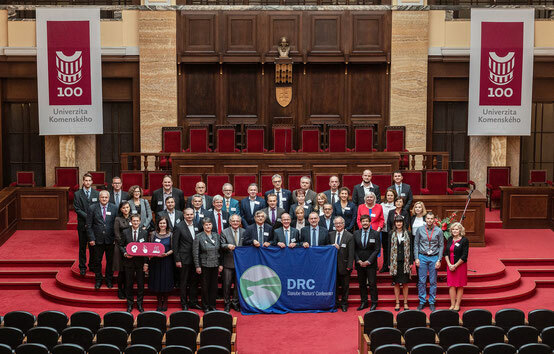 The DRC also actively contributes to the Priority Areas Workgroups’ of the EU Strategy for the Danube Region. One of the most significant challenges that a European higher education institution faces is the competition with other higher education institutions at European level and worldwide. To succeed, an institution needs to enhance the quality of education, research, and innovation, and to engage in the international arena. integration in the relevant action groups for the Danube Region Strategy (EUSDR). Contribute actively to the actions taken, instead of watching the results from an external perspective! Eligible members of the DRC are universities in the region and institutions that are recognized by the state or belong to the network of state recognized universities which submit regular application. Apply now.